A spectacular display of fireworks will once again ring in the New Year over Boston Harbor on December 31 beginning at midnight! 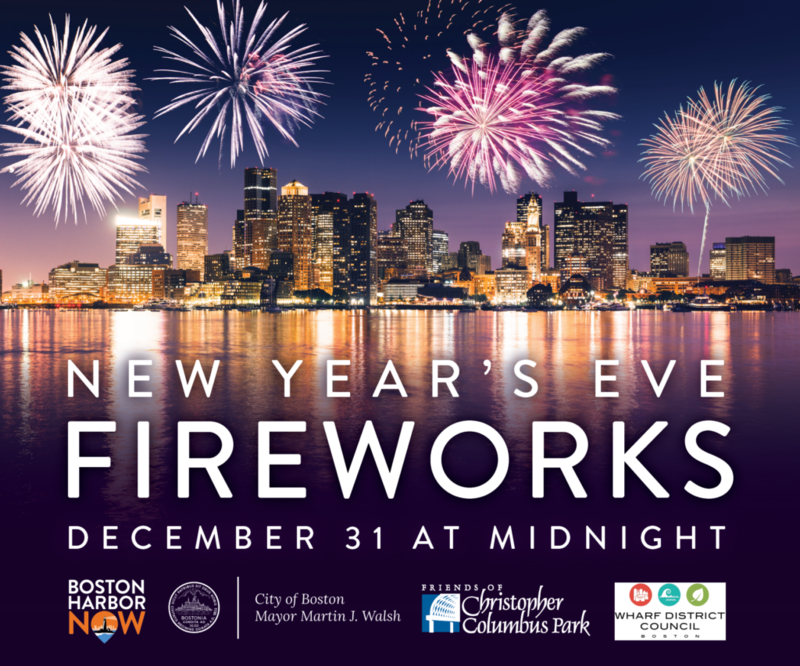 In partnership with the Friends of Christopher Columbus Park, the Wharf District Council, Boston Harbor Now and the City of Boston, fireworks will be shot off from a barge between Long Wharf and Fan Pier. Where to watch: Suggested viewing locations include Christopher Columbus Park in the North End, Fan Pier in the Seaport District, and from the East Boston Harborwalk/Piers Park.